1. 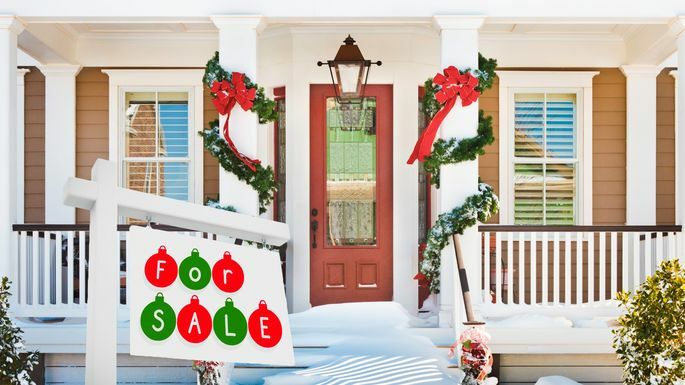 Serious Buyers: People who are looking to buy a home during the holidays are serious about finding their new residence! There may be fewer of these folks out there in general, but the ones who are looking are ready and wanting to buy, and they’re not messing around. 2. Low Supply: Typically, there are fewer homes for buyers to look at around the holiday season, which means there’s less competition for the attention of those buyers! When the holiday season ends and the new year begins, the supply of homes goes up. More inventory can mean more competition, longer days on market and potentially less money for your home. 3. Sell High, Buy Low: If want to buy a home in the 2018 spring market, selling now (and potentially renting short term) gives you the chance to be a non-contingent buyer when you’re ready to purchase in the spring. This is ideal. Since the spring time will bring more buyers into the marketplace for you to compete with, now you are set up as a “great buyer” who can compete with anyone, without a house sale contingency! 4. Holiday Decor: The holidays tend to bring out the best in a home, when it’s all decorated and dressed to the nines! Your home will show beautifully, decked out in wreaths, red bows, and white lights! I particularly love the winter scents of pine, cinnamon and the toasty wood burning fireplace. Plus, the holidays can provide that emotional connection to a home that will help a buyer feel more attached and pay your asking price. 6. Scheduling Control: Don’t worry—if you’re selling, you can still enjoy the holidays as usual! You can limit home showings to when you’re comfortable. You stay in control! 8. Capture the Relocating Buyer: January is often a time when employees begin new jobs. Oftentimes, when someone is transferred to a new position, they need a home, and they need it ASAP! This means they can’t necessarily wait until spring to buy, and that means you need to be on the market during the final months of the year to capture this unique buyer opportunity. “Go easy on decorations,” cautions Samuel Pawlitzki with Beach Cities Real Estate in Malibu, CA. Christmas lights and a tree in the living room are OK, he clarifies, “but I wouldn’t suggest staging a nativity scene in the front yard. Going berserk on decorations can scare off potential buyers.” And, well, everyone else. Live in a part of the country that’s hit with snow and ice storms this time of year? Make sure your pathways and sidewalks are cleanly shoveled and your house temperature is comfortable, suggests Valerie Post, a real estate adviser at Engel & Völkers Boston. If it’s raining, have umbrellas handy for people to look at outside areas. (Boot covers by the front door are a nice touch.) “This is the time to accentuate heated driveways, attached garages, updated heating systems, newer roofs, and fireplaces,” Post adds. What’s the point of this holiday tale? I’m convinced that this is a great time to list and sell your property. Why make anxious and qualified buyers have to hold off until Spring? DO IT NOW!! !